With the aging population and with baby boomers moving into their golden years, retirement communities are opening across the city and surrounding areas. Plus, many established senior living communities are expanding services and programs for continuum-of-care, known as transitional care. This is all good news for nurses with experience in geriatrics and the senior population. 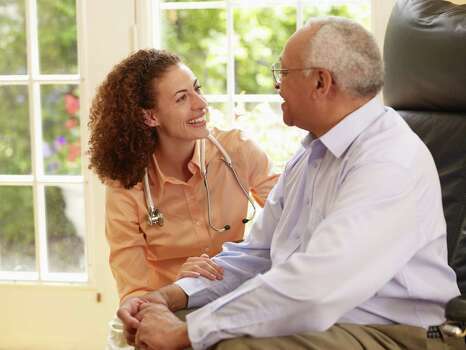 "Continuum-of-care is the progression of care from independent living, to assisted living, memory care, and to skilled nursing or long-term acute care, all in the same location. As a person's level of acuity rises, one can advance to the next level of care as needed," said Jeny Knight, executive director, The Abbey at Westminster Plaza, Houston, a senior living community. Residents who live in retirement or assisted living communities have the convenience to age in place, without having to make an additional move in order to have additional care. Moving is one of life's high stress points, but for senior citizens, it can be more detrimental. Therefore, retirement communities are providing additional services from either outside sources such as home health, rehab or hospice, or are providing transitional care services on site as part of their community. For example, Houston's Parkway Place senior living community offers independent-living apartment residences, assisted living, continuum-of-care, memory care, and skilled nursing services, all within the location. "In our skilled nursing, we also provide care for residents needing a short-term rehab stay that is covered by Medicare and for those residents needing long-term nursing care. We provide physical, occupational and speech rehab. We also work with hospice for those residents needing that special care. For residents needing long-term nursing home care, we provide 24-hour nursing care to meet all of their needs," said Jimmy Johnson, executive director, Parkway Place senior living community. A skilled nursing facility is required to have a 24-hour licensed nurse on site for those who have a higher level of need. "At The Abbey at Westminster Plaza, the wellness team includes a licensed nurse as director of health services and a wellness manager. We have two licensed vocational nurses, and a home health agency provides our community with an on-site registered nurse," Knight said. Most senior living communities that have openings are recruiting licensed RNs, LPNs or LVNs in good standing with the state licensing authority, who are able to remain calm in stressful situations and have a passion for helping seniors. Moreover, most senior living communities provide ongoing training throughout the year for the specific population. Parkway Place has registered nurses and licensed vocational nurse on staff that participate in the facility's ongoing training throughout the year. The training, which is geared toward geriatrics, includes training in dementia, Alzheimer's, wound care, IV medications and others. LVN staff at The Abbey also receives additional in-service hours of training in Alzheimer's care to educate them about special needs of residents with various forms of dementia. "In addition, all of our staff has in-services monthly as part of their continuing education," Knight said. "We are always looking for nurses, LVNs and RNs to work PRN, or as needed, and we look for staff who enjoy working with senior citizens," Johnson said. Knight said there is a demand for nurses in skilled and acute care settings. The growing number of people age 65 and older will only increase this need. Therefore, the demand for LVNs and RNs, as well as certified nursing aides, in senior living facilities will continue to grow.